Call center QA, based in Scottsdale, Arizona, can play an important role in helping improve your call center’s performance. Your call center plays an integral part in keeping your customers happy and creating customers that are loyal to your business. This is why having call center QA is so important. Whether your call center is struggling, or you’re working to simply improve the service your call center provides, call center QA with Sage Advantage not only will help you meet these goals but offers other benefits as well. First, call center QA can help reduce risk by ensuring your call center is compliant. Whether you use a third party call monitoring system or staff your call center in house, compliance is important. It can protect you and helps ensure your customers receive a quality customer service experience. 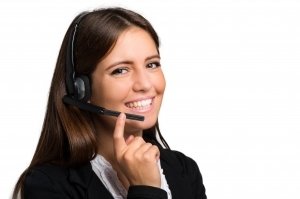 Second, call center QA can improve employee effectiveness. Everyone wants to do well and succeed in their job. In fact, some employees may begin not to perform as well if they don’t feel challenged or that they are growing in their profession. Coaching and training through call center QA can help improve customer performance and help them develop new skills. Though Sage Advantage offers call center QA, they also provide a variety of other services and tools that will help you achieve your call center goals. Call recording and call monitoring are perhaps two of the most significant pieces of call center QA, but they definitely aren’t the only ones. Sage Analytics, our proprietary software can help you achieve your call center goals by housing everything you need in one system, rather than housing different things in different systems. This offers many benefits in your call center such as allowing you to recognize employee trends quickly and act on other issues you may spot right away. Storing everything in one system can also help you pull information and feedback on employees that you can use as part of training and coaching. Plus, this system is a cloud based system, so you don’t have to buy any bulky hard drives or mess around with mass amounts of uploading and downloading. Scottsdale, Arizona based company Sage Advantage works with you to become an extension of your call center QA team. We work with you improve the service your call center provides to your customers. To learn more about the services we offer, or to schedule a demonstration so you can see them for yourself, be sure to contact us today. We look forward to working with you and helping you achieve your goals.